Little late, but what the heck. Design out this blog. Depends on how functional the site ends up. Sell my motorcycle before I kill myself. Downgrade to 50cc scooter. 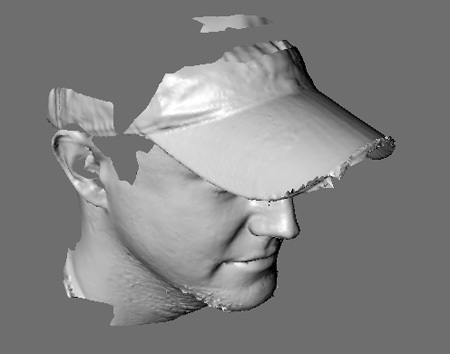 I got scanned last year at Siggraph. Creepy. This is a 3d file. I’ve thought of rebuilding the mesh to make it more useful. But really what’s great is how accurate this is. freaking amazing. Wish I had one of these scanners before modeling some of these shoes we’ve been doing lately!